(CNS): The sixteen-year-old boy accused of murdering Marcos Mauricio Gauman Duran has been refused bail, despite requiring specialist treatment as a result of a severe gunshot wound the teen received on the night that Duran was killed. The teenager, who cannot be named as he is underage, appeared before Chief Magistrate Margaret Ramsey-Hale this morning, when his lawyer, Lloyd Samson, continued the teen’s bail application. 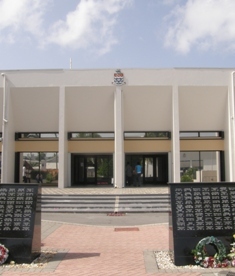 In receipt of documentation supplied by both the defence and the crown, which has objected to the bail, the magistrate refused the bail application. Although, Sampson had said their may be some concerns regarding the boy’s safety in Eagle House, the magistrate said the documentation revealed no extenuating circumstances that would prevent the accused teenager of being remanded in custody at Eagle House. It is normal practice for all defendants facing murder charges to be remanded until the trial. However, the teen’s lawyer had hoped that the chief magistrate would consider bail given the circumstances. Ramsey-Hale noted that the boy would gain access to the all the necessary medical treatment required for his recovery while remanded in custody at the institution designed to house young offenders. The 16-year-old is accused of killing Duran at an address in Maliwanas Way, West Bay, when he went to commit a robbery on Thursday 11 March. During the incident the defendant received a gunshot wound and left blood at the scene before he made his escape to Birch Tree Hill Lane, from where a call was made to the emergencies services reporting his injuries. The teenager, who is still receiving treatment after major surgery, was arrested on Thursday 8 April in relation to the murder and was charged with the crime on Monday 12 April. (CNS): Newly formed Cayman Islands boutique law firm, Thorp Alberga is making a concerted bid for business in the Far East with the opening of a Hong Kong office and the appointment of two new partners. These latest moves are part of what the firm called an aggressive push by Thorp Alberga designed to challenge the major legal players in the offshore world. Richard Thorp and Harriet Unger, formerly with Maples and Calder, will lead the Asian practice. The Cayman Islands office is headed up by Michael Alberga, a former President of the Cayman Islands Law Society who has three decades of legal experience in Cayman following his admission as an attorney in the Cayman Islands in 1978 after graduating from the University of the West Indies. Thorp and Unger are authorised by the Law Society of Hong Kong to practise Cayman Islands law in the firm’s new Hong Kong office and are also admitted in the British Virgin Islands. Richard Thorp is a securities and funds lawyer who has acted on a broad range of funds and general corporate matters, including the establishment of private equity and hedge funds and advising the directors and administrators when complex issues arose. He joined Maples and Calder in London in 1998 after graduating from St John’s College Oxford. He was transferred to Maples’ Hong Kong office in 2001 where he was made partner in 2004. Thorp’s experience includes over 100 venture capital or private equities investments in Cayman Islands or BVI companies and over 60 initial public offerings of shares by Cayman companies on NYSE, NASDAQ. 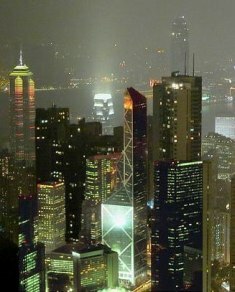 AIM and HKSE. Richard joined Myers & Alberga in 2009 on its restructuring. Harriet Unger is a structured finance specialist whose expertise covers all areas of capital markets transactions. She also has extensive experience of banking and corporate transactions and has been based in Asia for almost 10 years. Unger graduated from St Catherine’s College, Oxford . Prior to her work at Maples and Calder, Harriet worked for Simmons & Simmons in their London, Hong Kong and Tokyo offices and has been seconded to two major European investment banks in London. Whilst a partner at Maples and Calder in Hong Kong, Harriet was responsible for their structured finance practise in the Asia Pacific region. She has experience in debt and equity capital markets and derivatives as well as securitisation and banking. The firm said in a statement that over the past 30 years Alberga has developed a specialist regulatory and litigation practice, including licensing, regulation and dispute resolution in relation to corporate commercial law, real estate, banking, mutual funds, partnership, government relations, labour law and aircraft and shipping. Michaeladvises on the formation of trusts and ongoing duties of trustees and is a widely published author of articles on many aspects of Cayman Islands law. Ruth E. Hatt is based in the CI office and advises financial institutions, insurers, funds and private equity houses on all aspects of corporate and private equity structuring and regulation. Hatt has particular expertise in working with domestic and captive insurers, brokers and insurance managers in the Cayman Islands and provides advice to the Government sponsored group reviewing the Insurance Law. A graduate of Leicester University, she has worked for Lloyd’s of London, The City Law Partnership (now part of Maclay Murray & Spens LLP), Clifford Chance LLP and Maples and Calder in the Cayman Islands acting as the global head of insurance. (CNS): According to the 2009/10 budget documents, the government handed well over $10 million in official contributions to the arts, churches, charities and sports associations. The amounts range from as little as $5,000 given to Big Brothers and Big Sisters to as much as $200,000 to the Land and Sea Co-op. From $50,000+ stipends to a number of individual athletes to $60,000 for the Cayman Islands Sailing Club, the government contributes to a wide array of local causes and clubs. There are concerns now from some organisations, however, that their contributions will be either dramatically reduced or cut altogether as the public sector is forced to cut its own budgets. Other sources have also told CNS that, given the current circumstances, cuts will have to be made to charities and non-government organisations as they are not essential services and as those are currently under threat, these NGOs will also see reductions. The idea that civil servants could lose their jobs or have their earnings severely cut while there are dozens of organisations such as the Cayman Islands Angling Club receiving more than $46,000 to hold an annual tournament is unfair, some public sector workers have told CNS. 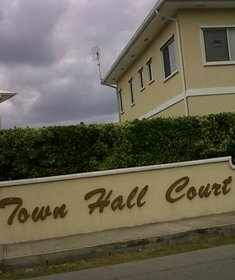 Although government has what it terms purchase agreements worth millions of dollars with government companies and agencies providing essential services, such as the HSA and the National Roads Authority, it also makes contributions to what are considered non-essential organisations like the Miss Cayman Islands Committee, which receives around $100,000 each year. Many of the organisations, such as the West Bay Seventh Day Adventist Church Light Bearers Club, receive only a small contribution of around $7,000 per annum to fund youth programmes. The Rehoboth Ministry, however, receives $100,000 per annum to provide a number of community programmes, including meals for the elderly and after school activities for children. There are a number of arts programmes which are likely to raise controversy, as some would consider the arts essential programmes that need to be funded by government while others say these are exactly the areas which should be cut and funded through private donations during tough times. However, in all jurisdictions where subsidies to the arts are cut, it is almost impossible to generate the necessary revenue to keep them alive from private sector contributions alone. As a result, the programmes which are seen as key to cultural development by some are closed, often depriving young people of artistic outlets. Moreover, evidence from other countries like the UK demonstrate that once arts budgets are cut it can be very difficult to regain those subsidies, even when times improve. In 2009 the National Art Gallery receives around half a million dollars to put on exhibitions, manage its collections, acquire new works and hold a vast array of community outreach programmes for children and other vulnerable members of the community. In desperate need of a new space, the gallery has plans to develop its own new venue through the private sector. However, despite having an original goal to complete the new gallery by 2009, the gallery has not yet broken ground. The fundraising campaign to raise the first $2.6 million needed began in February 2006. The National Trust, which has a crucial role in preserving the natural and historic environment, is another body which is already struggling to manage and has had enormous difficulty in attempting to preserve Cayman’s built heritage as it has not had the funds to purchase important historical buildings, which have then been lost forever. Although it also fundraises in the private sector the $300,000 it receives annually from government is crucial to its survival. Some of the NGOs and charities receiving government funding also provide unique and essential services, such as the Crisis Centre, which is desperately under funded considering the number of families the organisation assists. Although it does have some significant corporate donations, it is heavily dependent on the $300,000 subsidy it receives from government in order to offer a safe haven to women and children who are the victims of violence. 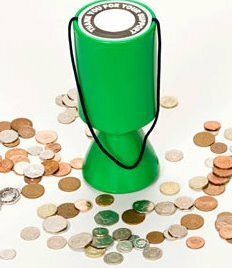 While there will be some debate about which services are essential and which the country can no longer afford to back, what is almost certain is that some or all of the NGOs and charities will be looking at smaller allocations in 2010/11. Following the Cabinet’s decision to ask the civil service to reduce the government’s operational costs, a number of these organisations are now genuinely concerned about their survival. Despite the size, many are dependant on government cash to keep them alive and offer the community the support and alternative services that are sometimes taken for granted. (CNS): Police have now confirmed that they have arrested a 23-year-old man following a drugs operation that took place in the West Bay area on Friday morning (9 April). 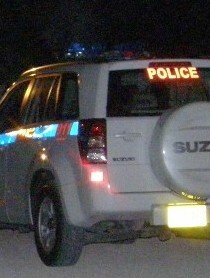 The RCIPS said that at around 7:00 am officers seized a large quantity of ganja from a car in Glade Drive, West Bay. The suspect was arrested on suspicion of possession of ganja with intent to supply and consumption of controlled drugs. Police have not revealed the size of the haul but sources say hundreds of pounds of the illegal drug were found in the boot of the vehicle. Police said that enquiries into the drug haul continue. (CNS): Police have confirmed that three Texaco stations were hit by burglars over a three-day period last week between 7 and 10 April. On the 7 April the burglars attempted to rob the Texaco on Shedden Road in George Town, but after damaging the door an alarm deterred the criminals. However, on 9 April burglars cut the telephone lines at the Crewe Road Madec Texaco and made off with an undisclosed some of money from the safe. 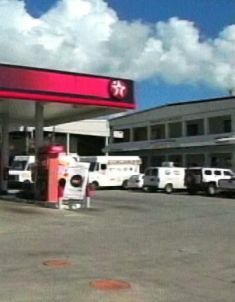 Then again on 10 April communication lines were cut to the Texaco Station in Savannah before burglars broke into the property and removed not just the contents but the safe itself. Police said that there are currently no suspects and investigations continue into what appear to be well orchestrated crimes, with burglars disabling alarms, cutting open safes and removing one of them completely from the premises. Meanwhile, over the weekend officers also said that both Leading Edge and Heritage Schools at the George Hicks campus in George Town were burglarised and undisclosed goods stolen. Cash and other items were also stolen from Scotts Marine on Seymour Road, which was broken into in the early hours of Sunday morning.